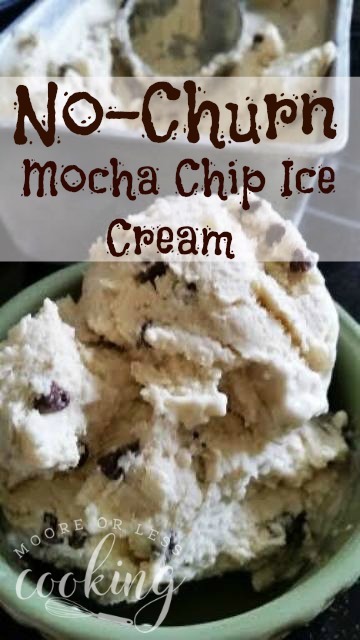 Smooth, creamy and delicious No Churn Mocha Chip ice cream! Coffee ice cream with mini chocolate chips in every bite! This is the easiest ice cream to make! A wonderful frozen summer treat! Are you a coffee fan? 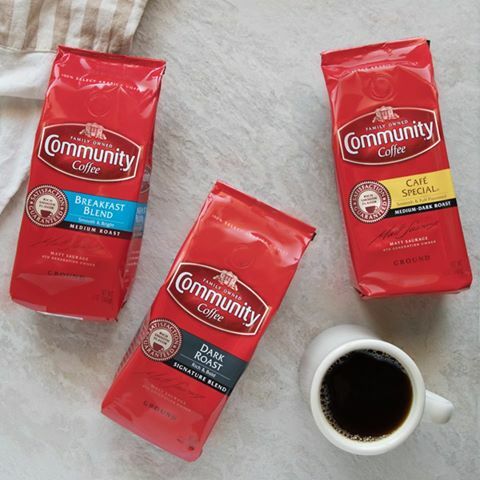 Scroll down to enter my Community Coffee Giveaway! Has it been so hot where you are? I can’t remember when we had such a warm summer, but there are no complaints from me, I love the heat! But all I can think of is ice cream and frozen treats! 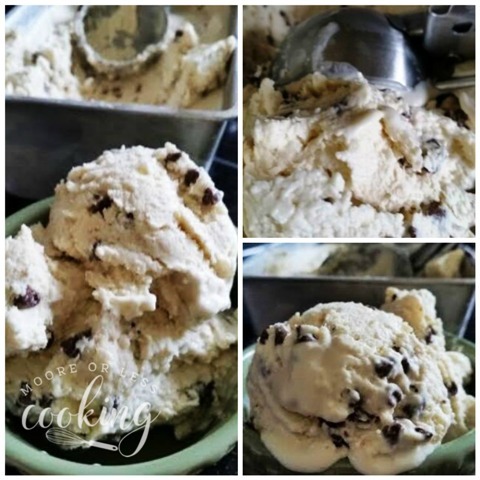 Don’t worry if you don’t own an ice cream maker, you can make this luscious, smooth No-Churn Mocha Chip today and have ice cream for tonight! 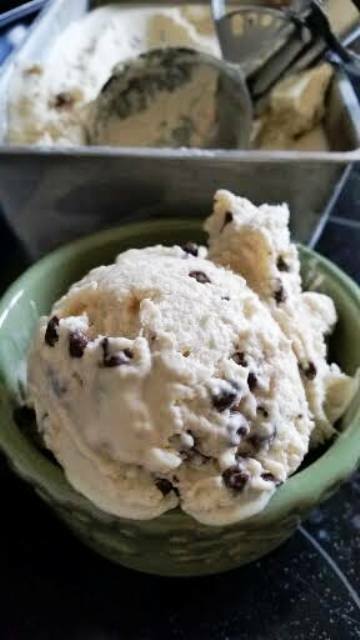 You only need 4 ingredients, it is easy peasy, so simple, you will want to have this coffee ice cream with mini chips to cool you off! 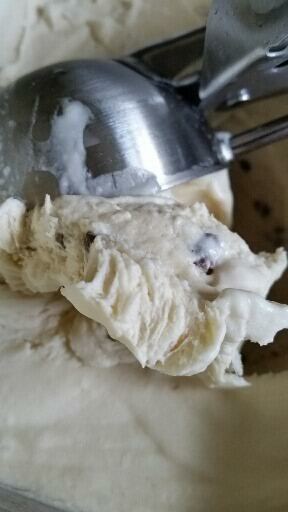 What you will need to make this delicious No-Churn Mocha Chip Ice Cream: Heavy Cream, Cold Strong Coffee, Sweetened Condensed Milk, Mini Chocolate Chips Combine the condensed milk and coffee in a small bowl. 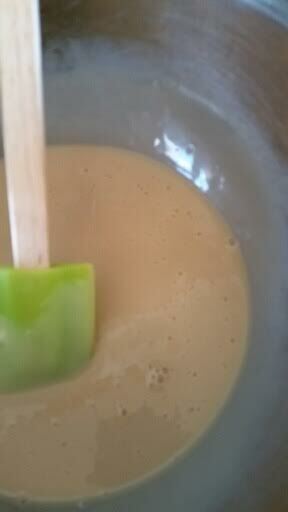 Whisk cold strong coffee and condensed milk until smooth. Add heavy cream to a large bowl. 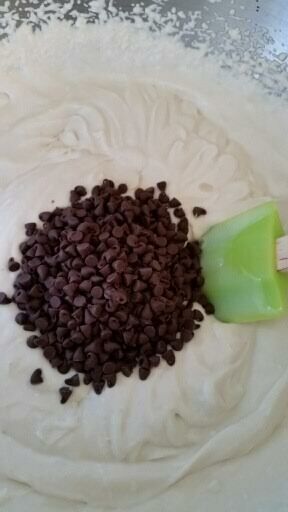 Using an electric mixer set on medium speed, beat until stiff peaks form. Turn speed to low and pour in the condensed milk and coffee mixture. 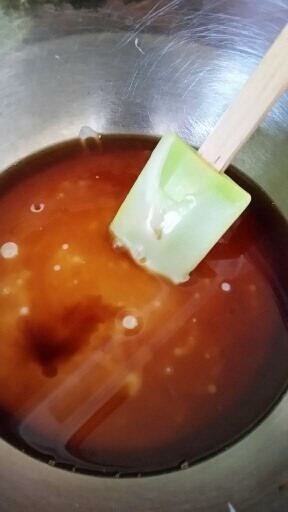 Turn the speed to medium and beat until thickened. Gently fold in the chocolate chips. 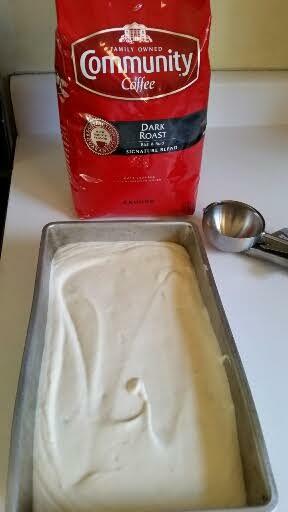 Transfer to a freezer-safe metal loaf container and freeze for at least 6 hours. 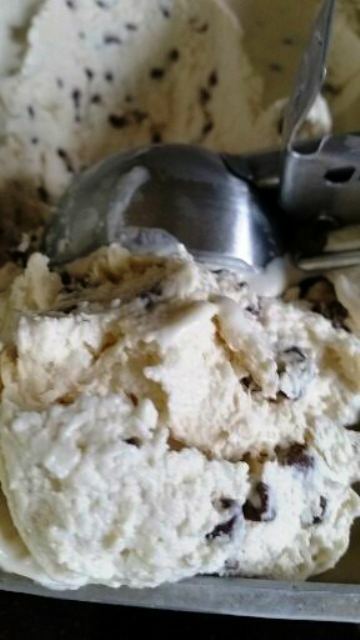 Creamy and smooth Mocha Chip No Churn Ice Cream. Only 4 ingredients needed to make this delicious frozen treat! In a small bowl,combine the condensed milk and coffee. Add the heavy cream to a large bowl. 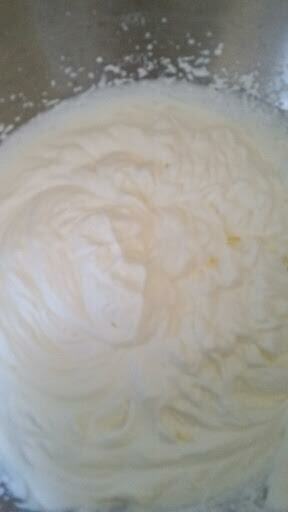 Using an electric mixer set to medium speed, beat heavy cream until stiff peaks form. Turn the speed to low and slowly pour in the condensed milk and coffee mixture. Turn the speed back up to medium and beat until thickened. 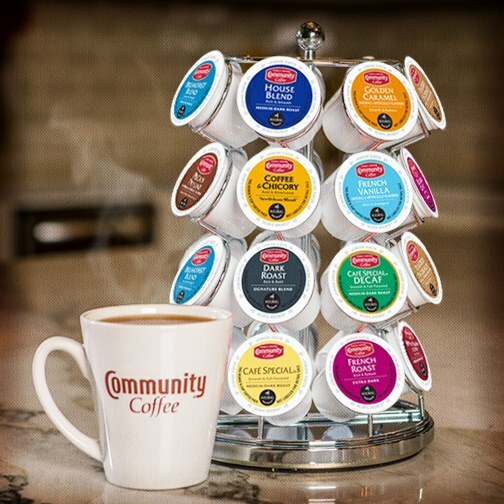 Are you a coffee fan? Just enter my Rafflecopter for a chance to win some delicious coffee! Love my coffee with a little almond creamer. Or in this fabulous coffee chip ice cream. 🙂 (coffee being my favorite ice cream) This is on my list to make ASAP! This looks great. I may just have to make this, this weekend! Love my coffee with a little cream. This ice cream looks fantastic and easy to make. It’s a keeper! Hot coffee I take black. Iced coffee requires a bit of Splenda and a splash of Half/Half! And I already follow your blog and enjoy it immensely! 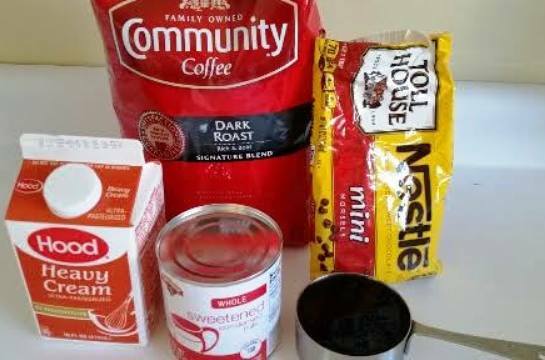 I like my Community Coffee like my grandma served in my whole life – with heavy cream and lots of sugar. I am one of your current subscribers. oh my gosh this looks so YUMMY!! I like my coffee w/ real cream and sugar!! I like my coffee hot with a flavored vanilla creamer and sugar. This ice cream sounds like something I would love! Adding it to my to make list. I already subscribe to your blog! Ahh, this sounds amazing and so perfect for the hot weather we’ve been having! :] Can’t wait to try it! Oooh that ice cream looks good!! Love a great cup of coffee too – beautiful combination!! !